Virtuagym Coach provides a state-of-the-art mobile coaching solution that fits the needs of any fitness coach or personal trainer. The number of mobile users has surpassed desktop usage. It's clear that mobile is the future for any business. 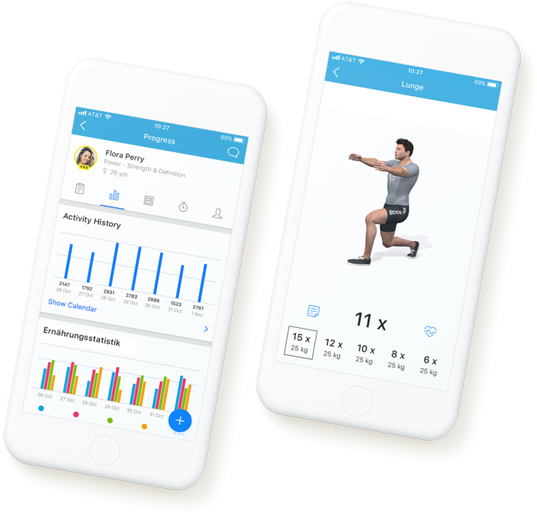 We don't just improve the client experience through our exercise and nutrition apps: the life of a coach is mobile too, with Virtuagym fitness coaching app. Manage all your client data on the go, create and assign their training plans, and easily stay in touch. No more running to a desktop in order to change a workout. With Virtuagym Coach, you’ll have everything you need to make client coaching truly mobile. Get quick access to your client files, including submitted forms, medical information, and more. You have client contact details at your fingertips so you can get in touch 24/7. Create and assign workouts to clients as needed for maximum flexibility. Check client performance in real-time graphs, simply by opening their profile. Use session credits to keep track of when your clients need to renew or purchase more sessions. Your clients can view assigned plans and track their progress in their own Virtuagym Fitness app.